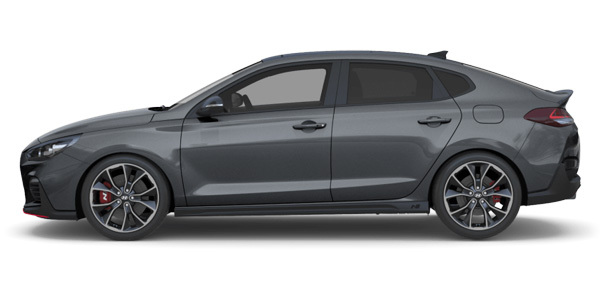 Introducing the all-new i30 Fastback N.
Sporty never looked so good. 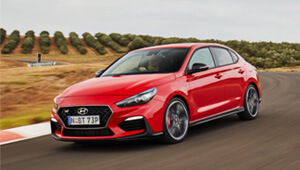 We've taken everything you loved about the i30 N, refined its performance on the track and upgraded the body to an aerodynamic fastback silhouette. 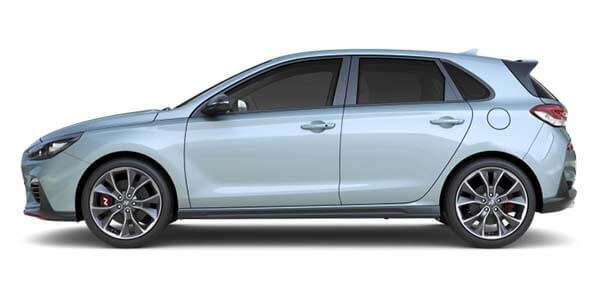 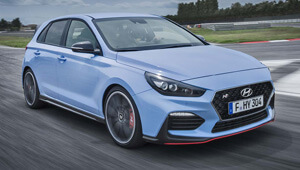 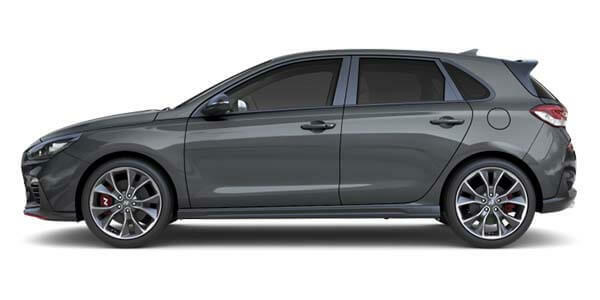 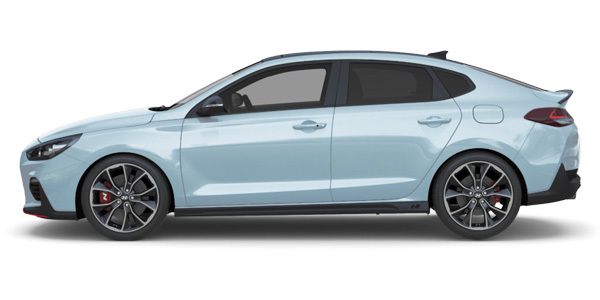 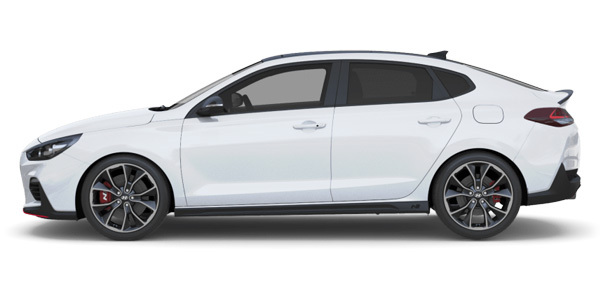 As sporty as it is elegant, the all-new i30 Fastback N brings sophistication to the track with it's new body shape and enhanced performance rates. 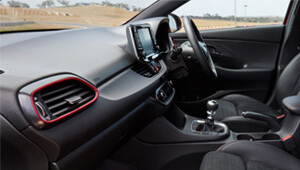 Red stitching on the steering wheel, seats and highlights around the air vents enhance the sporty interior design. 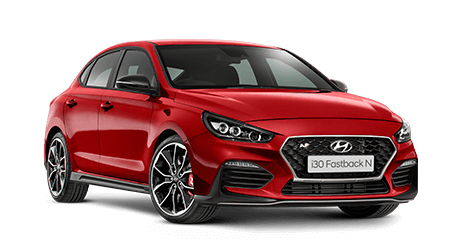 *i30 Fastback N variant shown. 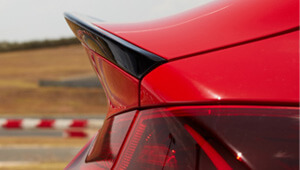 The new swooping silhouette increased the aerodynamics, with drag dropping from the hatch's 0.32 to 0.29Cd. 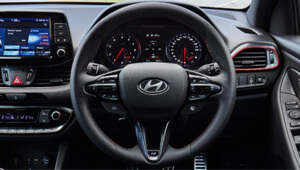 N steering wheel with dedicated N-button. 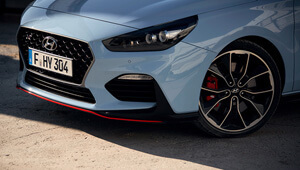 In front of the driver sits the bespoke N steering wheel with a dedicated N-mode button as well as an N-specific race computer which features a lap timer, G-force meter, boost gauge and launch control.